I'm really enjoying setting up my new website! Don't forget to update your rss feeds in both your blog readers and favourite lists (http://www.sew-funky.com/feed) so that you can keep up-to-date with what's happening in the sew funky world. I'll be having a giveaway, beginning next week, for one world - one heart and I'd hate for you to miss out on your chance to win something great! Come and take a look, but remember, it's a work in progress. UPDATE: Moved over and started posting. 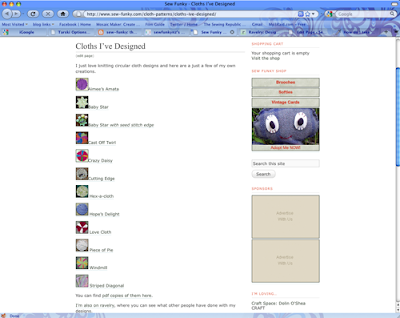 Shop not fully set up yet, but all old blog posts have been moved over. Please bookmark www.sew-funky.com and update your RSS feeds. I've just posted a recipe for gluten free pasta over on my almost forgotten foodie blog... So delicious! 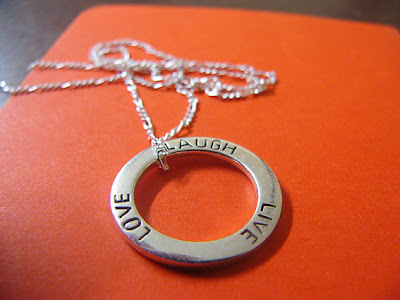 my new pendant to celebrate life ovaryless! 2009 has been a tough year for me, for regular followers I don't have to go into details. For new followers, You'll just have to take my word for it. But with 2009 almost over, it's time to start looking up, and thinking about all the good things that next year will hold. 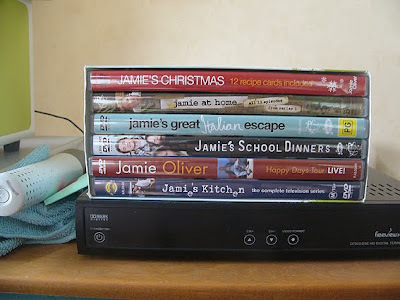 To start with there is Jamie Oliver - well, 20 hours of Jamie courtesy of Mr Sew Funky who brought me his box set for Christmas! 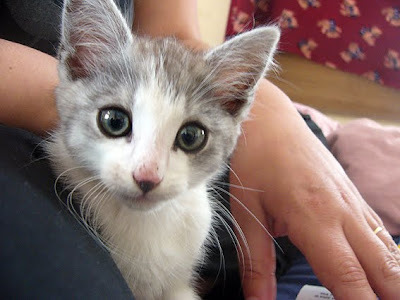 Then there are the new friends I've made since moving to Pukekohe. 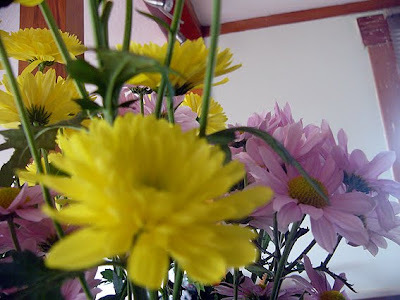 Friends like Helena who gave me some lovely flowers, just to brighten my day! Then there's the vegetables. 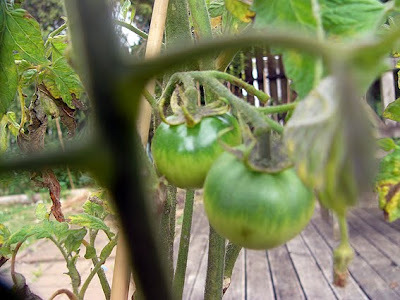 Mr Sew Funky seems to have found his green fingers, and the tomato plants are showing promising signs of fruit! 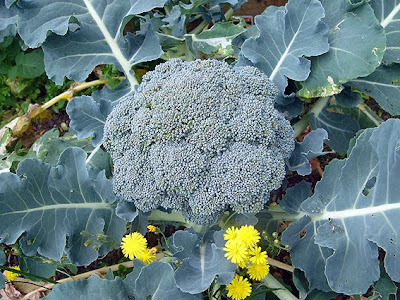 More immediate is the broccoli - this beauty will probably be on our dinner plates this week! I'm a faraway brown owl!